Emanuel, born in Stockholm on January 29, 1688 was the third of nine children and the second son born to Jesper and Sarah Behm Swedberg. The family moved to Uppsala four years later when Jesper was appointed professor of theology at the university there and where he also served as Dean and Rector of the Cathedral. While living in Uppsala, in 1696, Swedenborg suddenly lost his mother and his older brother Albert in an epidemic. A year later his father Swedberg remarried. His new wife was Sarah Bergia, a wealthy widow, who also had mining interests. 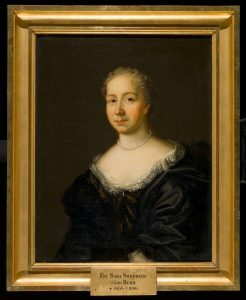 She seems to have been particularly fond of Emanuel and upon her death in 1720, he inherited half of her estate, Starbo, and a modest fortune. After his family moved to Uppsala, Swedenborg spent the next seventeen years there. He lived in his father’s home for eleven years, until Bishop Swedberg was called to Skara. 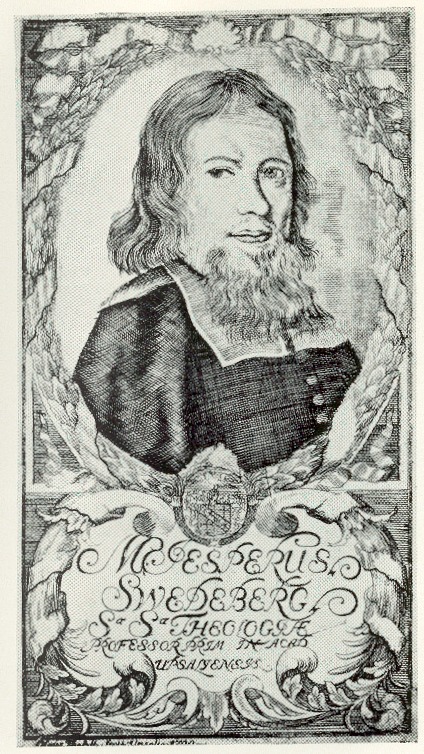 For the next six years, until his graduation from the university in 1709, he lived with his sister Anna and her husband, Erik Benzelius, who was the librarian at the University. 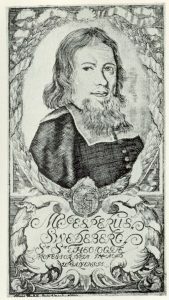 Benzelius was a modern bishop of Linköping. He was a brilliant man with a keen interest in the philosophy of Descartes, and was convinced that science held the key to the future. With that perspective, he eagerly took on the responsibility of modernizing the holdings of the Library. To accomplish this he corresponded with many of the most prominent men of learning in Europe and in this way he gained a knowledge of the developing intellectual trends of his day. 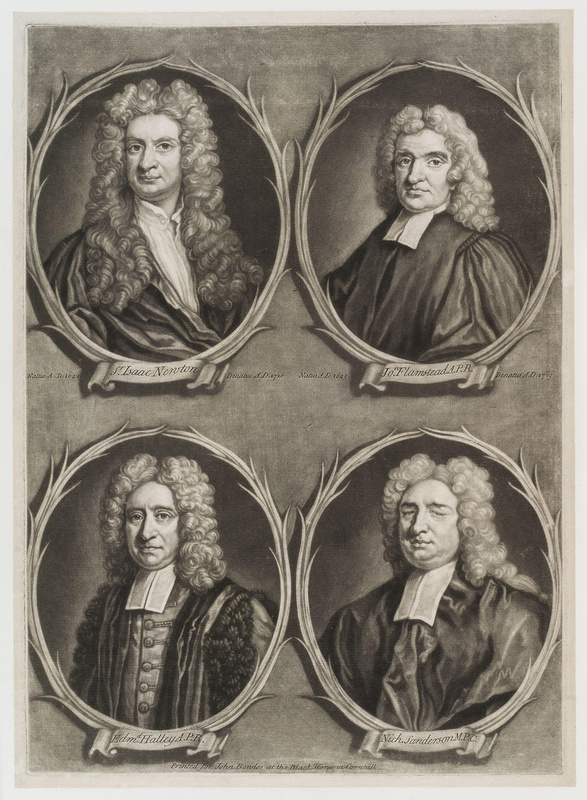 Although Swedenborg’s interest in the natural sciences and mathematics may be attributed to Benzelius’ influence, his fascination with the factual and the concrete also seems quite similar to his father’s vigorous concern for a “down to earth,” practical theology; and his distaste for the purely abstract in the realm of science is reminiscent of his father’s animosity toward brain only faith and dogmatics in religion. Therefore, it is possible to see evidence of his father’s ecclesiaticism in his scientifical thinking as well as to hear echoes of Benzelius’ rationalism in his theological writing. In 1710, on the advice of Benzelius, Swedenborg left for England to immerse himself in the most modern scientific currents of his day; he stayed there for two years studying mathematics and astronomy. During his stay he also frequented the shops of booksellers and instrument makers in order to enlarge his library and his knowledge, and while in London he lived with a variety of different journeymen in order to learn their trades. In this way he learned the arts of engraving, making mathematical instruments and cabinetry, and later in Holland he learned glass-grinding as well. 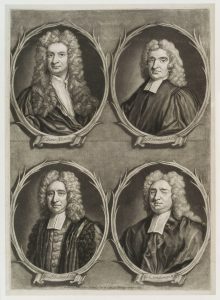 While in England Swedenborg studied with the astronomers John Flamsteed and Edmund Halley and, perhaps during conversations with them, became intrigued by the competition seeking a reliable means to find the longitude at sea. 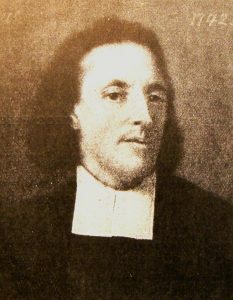 He devoted considerable time and energy to solving the problem, and it is clear from his letters that he discussed his solution with both Flamsteed and Halley. His method required exact lunar tables, which were unavailable at the time. In spite of the criticism his method received, he continued to have confidence in his idea, perhaps because the problem was not finally resolved until the 1740s, when John Harrison perfected a chronometer, successfully used by James Cook. Swedenborg published his method in 1718 and again in 1769. At the time of his second publication, he presented his method to the Royal Society in England. Swedenborg remained abroad until 1715, spending considerable time in Holland and France, absorbing new knowledge, and also some time in the German city of Rostock, developing his own insights. His approach to each new environment was similar to the way he approached his stay in London: he attended public lectures, visited the best libraries, searched bookshops and stalls, read and studied, and held frequent conversations with academics on topics of importance to him. Throughout his, tour mathematics was the major focus of his interest. The fourteen inventions Swedenborg described to Benzelius were the most obvious but not the only intellectual fruits of his first trip abroad. He left Sweden in 1710 a Christian and a Cartesian who was still willing to acknowledge a debt to Aristotle. He appreciated both Aristotelian systematic thought and the experimental sciences, and his driving intellectual quest was to rationally understand the relationship between first causes and ends, without being forced into a determinism that eliminated freedom. He believed that truth cannot be fabricated from a priori knowledge alone, but must be capable of demonstration. The purpose of his trip to England, he wrote, “was to learn the language and method of scientific proof, to learn the rules governing the demonstration of truth through experience, and to learn the laws through which nature operates.” While in England he acquired a deepened his appreciation for the beauty, the power, and the necessity of the experimental sciences as the proper key to understanding the physical universe. And he acquainted himself with Oxford’s library and England’s poets as well. He returned to Sweden a more independent thinker, endorsing now the views of the noted Swedish inventor and engineer Christopher Polhem, who was critical of the scholastically-minded Cartesians. As regards philosophy, nonetheless, Swedenborg had not become a Newtonian. He returned from his sojourn abroad aware of both the tremendous power and the limits of empiricism. He realized that a complete understanding of the human condition cannot be grasped simply empirically an insight that was not unique to his era. Nevertheless, most eighteenth century philosophers were content to explore simply the questions which could be addressed through the instrument or agency of sensory experience based reasoning. They consciously abandoned the quest of penetrating into absolutes, ultimates, and ends. They were content to ask the questions which they felt they had the tools to answer, rather than to seek new instruments to explore the essential question of human existence, namely, “What shall we do and how shall we live?” For Swedenborg the essential question remained the quest. Swedenborg had gone abroad to learn everything he could about the practical sciences of his day. His interest was both personal and civic, for he had dreams of assisting the modernization of Sweden by means of his own career in science and technology. However, upon his return to Sweden at the age of twenty-eight, he was confronted with the very practical problem of what to do. How could he integrate who he was and what he had learned abroad into the rather static and aristocratic social environment of Sweden—an environment in which a man’s connections were the currency of placement and position, and where competence and achievements were secondary or unimportant considerations. 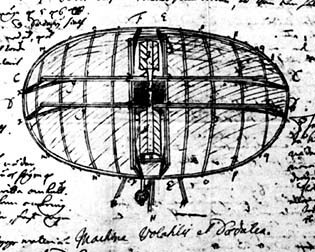 Immediately upon his return, Swedenborg threw his energy into introducing a journal which he called Daedalus Hyperboreus, dedicated to practical scientific inquiry. He had conceived the idea for the journal while he was abroad and he saw it as a means of stimulating the development of mechanics and manufacturing in Sweden, the growth of which he felt would strengthen the national economy. One issue of the journal was published in Swedish as well as Latin, in an attempt to encourage the interest of the general public in these matters. Six issues in all were published over the next several years. The articles covered a wide range of topics, including mine machinery, salt-making, a flying machine, and coinage. Although the journal sold moderately well, Swedenborg was unable to find others willing to back it financially and he discontinued its publication in 1718. Even though Daedalus was commercially unsuccessful, it was intellectually innovative and is generally regarded as the foundation of the present Royal Society of Sciences of Uppsala. The question of a career appeared to be resolved when Charles XII appointed him Extraordinary Assessor of the Board of Mines in 1716. But although the King’s warrant was initially accepted and he was seated on the Board, after the King’s death in 1718 the political climate shifted and the regularity of his appointment was questioned, resulting in the Board denying him the seat and a salary. Swedenborg refused to accept the Board’s decision. After seven years of insistence on the legitimacy of his appointment, the matter was finally settled to Swedenborg’s satisfaction. In 1723, as we shall see, the Board recognized him as Extraordinary Assessor. Throughout this period he received no retainer or salary in any position, and every enterprise was begun and sustained exclusively through personal relationship—with writers, printers, the inventor and engineer Christopher Polhem, and with the King himself. His efforts to find a stable position through which he could serve Sweden met, as yet, with frustration. Swedenborg’s personal fortune was dramatically enhanced in early 1720 when his stepmother Sarah Bergia died and left him a significant portion her rich, iron-producing estate, Starbo. Starbo provided him the financial resources to pursue a career as an independent scholar. Intending to research, write, and publish as soon as the matter of the inheritance was settled, Swedenborg left Sweden for Holland-the first leg of a journey in which he also planned to visit England, France, Italy, Austria-Hungary, and Germany. Although he wrote on a variety of different subjects during his stay abroad, it is clear that the issue of the assessorship was still on his mind and that one of his objectives in publishing was to become an authority on mining. He dedicated Parts I through III of his Miscellaneous Observations to Count Gustaf Bonde, the new president of the Board of Mines, and he published some new observations and research on mining techniques in Part IV. He also sent a prospectus entitled The Genuine Treatment of Metals to a variety of learned journals. It was published in Nova Literaria. In the midst of his trip he was called home by his father to help settle another inheritance dispute within the family. Arriving in Sweden in June of 1722, he promptly attended to the settlement of the family problem and then turned his attention to two other important matters, one private and the other public—his career and Sweden’s dire economic situation. To further his career he proposed a test of a new method to smelt copper; and to address Sweden’s economic problems he wrote a memorandum on coinage and six other memoranda on the state of Sweden’s economy. The memorandum on coinage caused a great stir, as it took a firm stand against the devaluation of the coinage. His memoranda on economics were read in the House of Nobles, but were not acted upon. His pursuit of the position of Assessor, however, finally bore fruit. In March 1723, Swedenborg was invited to attend the sessions of the Board. At its meeting in April an agreement was reached on the issue of his seniority, and in 1724 he was finally awarded a salary. Having achieved the position he had pursued, Swedenborg devoted himself to the broad and complex duties of an assessor, which required administrative, technical, and judicial competence. 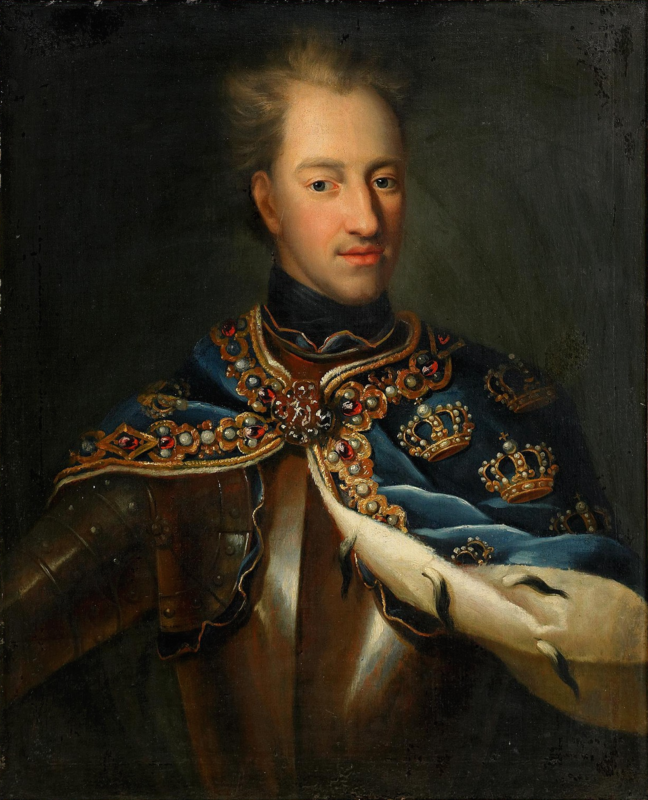 He remained active in this position until 1747, when the King regretfully accepted his resignation, noting in a letter his faithful and exemplary service to Sweden. Upon his assuming the assessorship, a new phase of his life began. In the phase which therewith came to a close he had had some involvement in all the major concerns to which be was subsequently to devote his life: cosmology, anatomy, philosophy —and even theology. Having achieved his position and career goal in his public service Swedenborg began focussing his intellect on what was for him the essential problem of philosophy—the relationship between the Creator and the world of creation. For twenty years from 1724 he investigated, reflected upon, and wrote down his understanding of this problem—both how to approach it and what the structure of the relationship might be. Although on the surface his published works appear to be investigations of widely divergent topics, his works during this period form the following series. His first work, the three volume Philosophical and Mineralogical Works, was published in Leipzig in 1734. Volume one of these is the Principia, and the second and third volumes are scientific studies, On Iron and On Copper. His second major philosophical work was published in Dresden in 1734, a small tract entitled The Infinite and Final Cause of Creation. His third philosophical work was called Dynamics of the Soul’s Kingdom (sometimes referred to as The Economy of the Soul’s Kingdom), published in Amsterdam in 1740 and 1741. Dissatisfied with his efforts in the Dynamics, he began another, similar work called The Soul’s Kingdom (sometimes referred to as The Animal Kingdom). Three parts of this work were published before he abandoned his enterprise. The first two parts were published in Amsterdam in 1744, and a third part in London in 1745. Swedenborg’s desire to understand the order and purpose of creation led him first to investigate the structure of matter and the process of creation itself. In the Principia he outlined his philosophical method, which incorporated “experience, geometry [the means whereby the inner order of the world can be known], and the power of reason” and he presented his cosmology, which included one of the first formulations of the nebular hypothesis. In 1734, satisfied that he had understood the mechanics of the unfolding of the natural universe from the first natural point or first finite, he turned his attention to the problem of the nature of the Infinite and its relation to the finite. In the Principia Swedenborg concluded his presentation of his cosmology with a discussion of the human being, because in his view the human being completes creation. In ending this work with a discussion of the place of the human being in creation, Swedenborg was pointing to the focus of his philosophical endeavor for the next ten years of his life. Without a consideration of man, who alone of all creation can worship the Creator, and who can thus return love to the Creator, his system would be incomplete. However, before he could examine the manner in which the human body is animated and functions and is thereby connected to the Creator, it was necessary for him to address the essential question for his entire philosophical system—the existence of the Infinite itself. At the beginning of the Principia the Infinite was identified as the source from which all of creation proceeds, and at the end of the that work, Swedenborg indicated that it is to the Infinite that some of creation must return. But before he could explore how that return is made possible, he found it necessary to demonstrate that the Infinite does exist and that it is both the first and final cause of creation, the cause from which creation begins and to which it directed—the Alpha and the Omega. In this essay he also found it necessary to demonstrate why the human being’s place in nature should be examined at all. In Swedenborg’s view, “Since a human being resembles nature as to his body and organs, or as to means, if he is undifferentiated from the rest of nature as to ends as well, then the principles which explain the ‘least of creation’ would likewise explain the human being” making any further philosophical examination of nature unnecessary. In his treatise on The Infinite Swedenborg demonstrated the existence of the Infinite, and the unique role of the human being in the order of creation. Human beings are the means whereby the creation’s final cause or ultimate purpose is effected, and the effecting medium of conjunction between the Creator and human beings is love. In this essay Swedenborg emphasized that all our human faculties —sensation, rationality, freedom, and the capacity to love—serve in the realization of the final cause of creation, each in its proper place. In his writing in The Infinite Swedenborg now began drawing together truths from revelation as well as reason, for the sake of the fullest possible understanding. and for the sake of man’s understanding. But revelation, as he used it, was not a substitute for reason, but an independent and necessary source of truth. At the end of this work Swedenborg set as the next task of his philosophical inquiry “demonstrating the immortality of the soul to the very senses.” This is what he attempted to do in The Dynamics of the Soul’s Kingdom and in The Soul’s Kingdom. In these works, he was seeking to discover the world of cause from a detailed examination of the world of effects, to understand the rules governing the soul’s operation in its kingdom the body. Ultimately, he was interested in understanding the principal cause activating the microcosm, or “to trace out the nature of the human soul” itself. This passage highlights the transformation of Swedenborg’s motivating love or purpose. Scholarship and a love of truth for its own sake have become transformed from ends in themselves into means. Faith has become the primary end, with his philosophy serving as the means. It is at this point in Swedenborg’s life, in 1743, that he underwent a profound spiritual crisis which is documented in The Journal of Dreams. In his journal Swedenborg recorded his dreams and visions, interpreting them as dramatizations of his temptation to determine his own way rather than choosing God’s. In a vision I also saw that raised bread was presented to me on a plate; which was a sign that the Lord Himself will instruct me, since now I have come into the condition where at the beginning I know nothing, and have been relieved of all my preconceptions. This is where learning commences: namely first being a child, and so being nursed into knowledge, as is the case with me now. With this realization, Swedenborg was ready to put aside his philosophical studies in order to focus all his attention on spiritual matters. But how? Specifically what he ought to do to have been unclear. He began a manuscript entitled The Worship and Love of God, of which he published the first two parts in London in 1745. It stands apart from the philosophy that preceded it and from the purely theological work Arcana Coelestia that was to follow. Like The Infinite it was both a culmination and a beginning. Written almost like poetry, it differs from his philosophic studies more in tone and form than in ideas and concepts, and it differs from the later revelatory works both formally and substantively. It reads like an expression of love and adoration to God the Creator and Redeemer. The third part of this work Swedenborg left unfinished in manuscript form, abandoned in mid-sentence. In the third section he intended to move beyond a poetic summary of his published philosophical works to present a treatise on the Sun of Life. A consideration of both mankind’s freedom and fall were to be incorporated in the discussion. The literary metaphor he chose to illustrate these things was a vision of the spiritual sun, seen by the first married pair as they awoke from the conjugal bed. But, perhaps concerned that his writing now was based too much on his personal vision experiences and that he was violating his scientist’s concern for independent evidence, he turned from his poetic composition to a study of the Bible, the Divine Word. This he believed contained such objective truth about higher realities of existence. He gradually came to the conviction that the Divine Word alone could form the evidential ground of a new revelation from God to man. Unlike a private vision, the Word is universally available to all, and doctrine based on it can be challenged or confirmed by each individual’s rational and experiential response to it. While this was happening, he says, “heaven was opened to me.” He became fully present in the spiritual world, speaking with spirits and angels as one of them. Desiring to direct his life to serving the Lord, Swedenborg saw no further need to remain abroad, and abandoning his philosophic projects returned to Sweden in the summer of 1745. For the next two years he nevertheless continued to fulfill his professional duties as assessor, while privately he methodically studied the Bible, reading it in Hebrew and Greek as well as in Latin. During this time he began an extensive Biblical Index and a four tome exposition of the Bible, entitled The Word Explained, which he left unpublished; and in his journal he recorded his daily experiences and insights from the spiritual world–also left unpublished. In 1747 he was appointed First Councillor at the Board of Mines. But, realizing that the responsibilities of such a promotion would hinder the more important spiritual work he was doing, he asked to be passed over for this appointment and then submitted his resignation from the Board of Mines. The King accepted his resignation with mixed feelings: gratitude for Swedenborg’s steadfast and faithful service to Sweden, sadness because he was leaving that service, and confidence that his latest endeavor would be as beneficial to the public as his other works had been. These feelings of gratitude and respect were concretely reinforced by the King’s grant of Swedenborg’s request for a pension. In leaving the King’s service Swedenborg was able to focus his full attention on his Divine commission. As he grew to understand it, that commission required both intellectual and spiritual preparation. The need for such preparation, as he later analyzed it, lay in the nature of the revelation he was to receive. An internal revelation, or revelation from perception, he writes in Arcana Coelestia, requires preparation of the mind and soul in order to create a foundation for it. Relatively external revelations, through dreams, visions or hearing a voice, such as those received by the Jewish prophets, on the other hand, do not require a similar inner foundation in the person to whom they come. The deeper, spiritual content of these external revelations are not sensed by those to whom they are given. From seeing Genesis first as cosmology, as he did in his study “The History of Creation as Given by Moses,” and then as historical prophecy as he had in both the “Biblical Index” and The Word Explained, Swedenborg was ultimately led to see that in Genesis there is a yet deeper meaning. Genesis, he explains, spiritually treats firstly of the glorification of the Lord, Jesus, and become Divine when on earth, and secondly of the corresponding process of an individual person’s regeneration and becoming angelic. 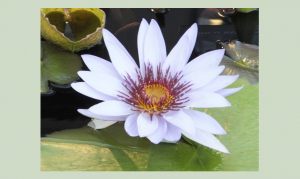 With reference to the individual, the story of creation refers not to the first creation of people on earth, but rather to a human being’s second or essential creation–the process of spiritual birth. The eight quarto volumes of the Arcana Coelestia were published anonymously in London between 1749 and 1756. Even though he did put his name as author, the publication of the Arcana initiated the “public” phase of his mission because his inner visions and spiritual experiences were no longer to serve primarily his own enlightenment. They were now to be shared with the world. Because Swedenborg was an instrument of an internal revelation, his spiritual mission took place in both the spiritual and natural worlds. He saw his own mission to all in this the natural world as being to publish the heavenly truths revealed to him by the Lord for mankind–rather than to be the evangelistic organizer of the new church they portended. Throughout this time he underwrote all of the expense necessary to fulfill this mission, and whatever income he received from the sale of these books he directed his printer to reinvest in their publication. He sold his books below cost and he also sent many copies of his works to libraries, prelates, and various other notable individuals. During this time from 1749 to 1771 he published twenty separate theological works. The scope of Swedenborg’s theological writings is immense. Two of his works, Arcana Coelestia and Apocalypse Revealed, expound the internal sense of Genesis, a portion of Exodus, and the Book of Revelation, utilizing the doctrine of correspondences to do so. In some of the other works he published he discusses such topics as: life in heaven and hell–based on what he has actually heard and seen– the Last Judgment, God’s providence, the doctrine concerning the Lord as the one God, the doctrine of the Sacred Scripture–explaining that Scripture contains throughout a higher, spiritual level of meaning– life in the universe, marriage love, and the essentials of the true Christian religion. The religious teachings in Swedenborg’s books present a new vision of God, provide new insight into the nature of the relationship between the spiritual and natural worlds, and a universal and rational ethic to guide a person to a useful life. It is a radical and rational Christian religion: radical because it breaks with both the traditional Catholic and Protestant interpretations of the Trinity, original sin, the atonement, and imputation and justification; and rational because the focus of its theology is the penetration and clarification of the mysteries of faith. From it emerges a concept of salvation as being a Divinely facilitated psychological process, one that grants the individual a cooperative role in his or her spiritual life and human fulfillment. As knowledge of his authorship of these religious books increased, men began to seek him out to discuss them with him. Swedenborg almost always obliged; however, by this time he had gained notoriety in some circles as a mad visionary. This was due to his reputation as a clairvoyant, the nature of his claim to be able to see into the spiritual world, and to his descriptions of that world. Many people who sought him out did so more from curiosity than for enlightenment. He refused to demonstrate his spiritual powers, but when approached by a sincere seeker he was always delighted to discuss religious issues. Because of restrictions on the freedom of the press in Sweden, Swedenborg did not publish any of his religious works in Sweden. However neither this fact nor the fact that he did not personally endeavor to establish a church organization prevented the Swedish state church from finding fault with him. Toward the end of his life two men who had accepted his teachings became embroiled in a heresy trial as a result of propagating the new ideas of Swedenborg at the University of Gothenborg. When Swedenborg heard of this he became indignant and wrote to the King on behalf of these men. His letter seems to have had a positive result, and eventually the matter was dropped. The universities were also asked to make a judgment regarding Swedenborg’s writings. After three years they asked to be excused from the duty without ever presenting any findings. It would be over one hundred years before an official New Church organization was established in Sweden. According to the doctrine presented in his writings, God’s purpose is the development of a heaven of angels from the human race. And the means through which the Lord achieves this purpose are not only truths that He reveals, His Word, but also the influence of those in heaven itself upon mankind on earth. Thus the spiritual world is the world of causes. Our natural world is the realm of effects. However, Swedenborg explains, God’s light and love were being blocked from reaching mankind here. The minds of many in the regions below heaven itself in the spiritual world were in confusion. False teachings they had imbibed from a corrupted Christian church had so disrupted the very social structure of these men and women in the spiritual world that it was as if the “Sun were darkened and the moon no longer gave her light, and the stars had fallen form heaven.” A new church was needed on earth, but the heavenly urging needed to bring it into being could not penetrate through such a tangle. Consequently the major event surrounding the initial formation of this new church occurred, in Swedenborg’s explanation, in the spiritual world. The Last Judgment described in the book of Revelation took place there in 1757. It was triggered by the realization of the Divine truths that had come down to him and which he introduced into the spiritual world through his contacts and conversations there. These led to the dissolution of the false conceptions that God is a God of anger and that faith alone is sufficient for human happiness. As this became clear to the great masses in the region of the spiritual world that is below heaven itself and nearest to mankind, those who were actually “goats” were seen for what they were and were separated from the “sheep.” . Once that judgment had taken place, that world of causes was prepared for the establishment a new heaven, a new community of men and women whose reverent good lives had made them essentially angels in God’s sight. Through this new heavenly community God’s up-building light and life could pass unimpeded. Both this new heaven and the subsequent new church on earth were based on a clarified conception of goodness and truth as the Lord Jesus Christ had wedded them together in His Divinely Human nature. The new heaven was established by instruction given sincere departed souls from Christian backgrounds whose church experience had left them maliformed, and also to similar, basically God-fearing loving people who had known little or nothing about Christianity. The publication of True Christian Religion, inscribed by the “Lord’s command” with the words “Servant of the Lord Jesus Christ,” marked the culmination of Swedenborg’s dual mission–to serve as an instrument for the establishment of a new heaven, and a new church on earth. These, he believed, would be established by the Lord alone among those who freely acknowledged His sovereignty and led a good life. Shortly after the publication of True Christian Religion in Amsterdam in 1771, Swedenborg left the Netherlands and went to England. He suffered a stroke in December 1771 and died on March 29, 1772.